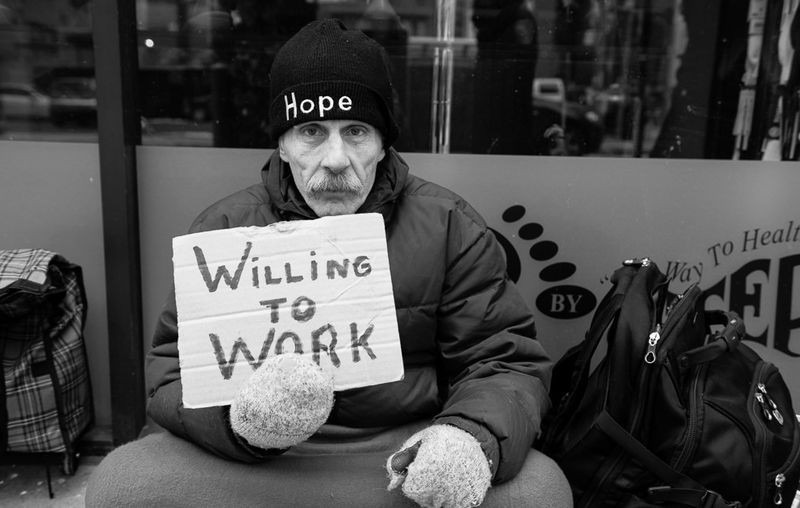 Finding a dependable job is one pathway for people seeking a way out of homelessness. | Image: Byron via Flickr CC. A study by The Department of Housing and Urban Development (HUD) revealed that in January 2014, there were 578,424 homeless people in the United States on any given night. About 15 percent of these people are considered chronically homeless. Finding a dependable job is one pathway for people seeking a way out of homelessness. But it’s difficult for this population to find long-term work. Business innovators like George R. Roberts and his organization REDF are creating new opportunities for investors to succeed in the business of social change. “If you don’t have a job, you don’t have hope. If you don’t have hope, what do you really have?” Roberts said. Roberts has pioneered the use of a market-oriented process as a solution to social problems. REDF’s consultants analyze new markets, draft business plans, and support partner companies with market strategy launch. Investors’ respond to these business plans with the funding required to build companies with solid foundations and a stable work force. New employees develop marketable skills. Workers with special needs are provided access to counseling, technical training, and even work clothes. “You can give someone a house, but they’re still homeless if they don’t interact. They can’t lead an ordinary life and so lapse back into cycle of homelessness,” says Lucy Maggs of Crisis, an advocacy group for single homeless people. Roberts and REDF are using their business skills break this cycle. Social enterprise solutions to social issues deliver measurable results. The projects supported by REDF have generated over $140 million in revenue. As businesses, these social enterprises have earned $140 million to support ongoing success. Worker’s monthly wages have increase 268% on average one year after their social enterprise job began. Under Robert’s support REDF promotes his social enterprise solution by publishing case studies and training guides so others can learn from their experience. The organization also supports a fellowship program for professionals starting their career who have an interest in advocating social enterprise as a tool for social change. “I could see how the power and proven practices of the business world could be applied to this problem to bring real solutions,” Roberts said. Sharing opportunity and knowledge is a winning strategy for all.